I’m normally all about building relationships and seeking positivity, but I’m going to flip the script a little. It takes two people for a relationship to work. Sometimes, try as you might, there is simply no salvaging the situation. And once a relationship is broken, it’s only going to get worse. Maybe you’ve grown apart, or perhaps you’ve stayed the same but what you had wasn’t built to last. It could be that one of you isn’t mature enough or ready for commitment. She might no longer share your values, or may even have cheated on you or stolen money. You might be worried about causing upset. There are times when it’s unfair to continue a relationship. If you’re no longer emotionally invested, you’re going to wind up causing more pain further down the line. Whatever the cause, there’s a right way to break up with someone and a wrong way. You still have to step back into the world with your head held high after breaking things off. There are consequences. If you don’t care who you hurt, that’s your choice. It almost always comes back around. I would never recommend taking a cavalier approach to the feelings of others, especially with a sensitive scenario like a breakup. Dating isn’t about the trail of wreckage you leave behind. It’s about building, maintaining, and salvaging connections. Knowing how to break up with someone decently can save you a lot of hassle. First, you have to look for the signs. How long do you leave things to recover before putting the relationship out of its misery? How do you time the act of breaking up with her? First of all, you have to know that your time together is up. She may be providing you with more stress than comfort. The two of you could be talking a lot less without even realising, or you might find yourself far happier on your own. If these signs start showing up, it might be time to think about the more difficult questions. You have to think about your happiness and development. If your partner only seems to keep you around as part of the furniture, just uses you as a sounding board for her woes, or is chiselling away at your identity or your relationships with others, it may be time to cut your losses. It is vital that you step back and apply logic. Talk to your friends. Write down a list of pros and cons. Come to your conclusion in a balanced, objective way, and then take action. There is also the question of timing, and it’s arguably the hardest part. There is no appropriate time to break up. There is only the most tasteful time possible. You’ll want to avoid special days, such as birthdays, Christmases, and the anniversaries of any bereavements. You’d also be wise not to break up after her shift at work, or if you’re aware that she’s already having a stressful day. Only hold off, though, if she’s been having a particularly traumatic time, such as after losing a family member. The whole idea is making it quick and painless. She’s going to rationalise not liking you however long you spend doing it. Make sure you’re somewhere from which you can quickly exit after a set amount of time. This will help you avoid retreading old ground or getting into a long, protracted argument. As long as your reasoning is sound, you can walk away with your head held high wherever it happens. It’s a good idea to do in a public location that has no meaning for either of you. This means choosing a location devoid of people you know, and somewhere you can be more certain she either won’t make a scene or from which you can walk away, for example, a low-key coffee shop or a park. They are easy escapes. You don’t want to break up somewhere either of you regularly goes. This could add stress to any future visits and render a clean break more difficult. Avoid breaking up at your house. Otherwise, she can trap you there and force you into an extended conversation to try and win you back, or make you feel bad about your decision. There are a variety of ways to break up with someone. Be a gentleman. However long you’ve been together, you owe it to her to plan what you’re going to say, and to avoid cliché while you’re saying it. You can achieve this easily – by being honest. If she thinks you’ve plagiarised your words from a rom-com, she will take what you’re saying as insincere. It will only agitate the situation. You owe it to your relationship and to yourself to be as authentic as possible. Do prepare what you’re going to say, but not word-for-word. Get a sense of what you’re going to convey to her, and what you need to say about the relationship. You don’t need to be spiteful, angry, or bitter about the relationship. You can keep the tone positive. Maybe you’re not breaking up for hostile reasons, but you have to focus on work or want to travel. Even if she hurt you, think about what you learnt from the relationship. Language is very important. No one wants to hear that it’s over, and they may scrabble for reconciliation. Her pleas can sound desperate, genuine, and tempting, but you need to stay resolute if the relationship was unhealthy for you. Directness and clear explanation are key. Keep in your head that if you break up ten years down the line when a marriage, children, or a home are in the picture, you could end causing even more pain. It may hurt to say, but get it out. When she responds, she may be reasonable or be in the same place as you without having said anything. She may not. You’re only going to know if you’re upfront with her. Even when leaving a poisonous relationship, be the better man, and try to leave things on an amicable note. It’s worth knowing how to break up with someone in a gentlemanly way for your peace of mind as much as hers. Can you stay friends? Not for a while. An amicable break up is good, but you’ll both have your own pain to grow through, and that’s best done separately. Don’t get in touch with her for a little while, even if you want to check up on her. It may be worth asking one of her friends keep an eye out for her. Every time you contact her to see if she’s okay, it gives her a little bit of hope. Whether you can be friends or not is down to your maturity levels. It also depends a lot on future partners, as they make not be okay with her presence. In any case, avoid entertaining the idea until both of you have healed. There are some absolute no-nos when it comes to the best ways to break up. • DO NOT break up in writing, such as by text, on Messenger, or e-mail. • DO NOT break up over the phone. • DO NOT insult her or belittle her. • DO NOT play the victim – no one has to be a martyr. • DO NOT emotionally blackmail or threaten her, however heated the discussion gets. • DO NOT draw other people into it. You are not doing this to break her, however much you may wish afterward that you’d dug your claws in more. You are deciding to rid yourself of a harmful and negative influence, and take steps towards fulfilling self-realisation. Rise above the situation, apply logic, be mature, and move forward. 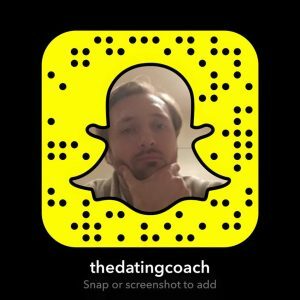 To learn about mastering everything before the break-up, head over to www.johnnycassell.com/pua-training to find out about my 7-Day Courses and Impactful Connections Workshops all over the world.